Read more about "DWS: Duitse consument cruciaal voor groei Duitse economie"
Read more about "BlueBay AM: Draghi still ruling on the iron throne (for now)"
Read more about "Robeco: Aandelen buiten VS meest aantrekkelijk"
Read more about "Pictet AM: Chinese A-shares niet geschikt voor indexbeleggers"
Read more about "Univé benoemt Ron Bavelaar tot nieuwe voorzitter Raad van Bestuur"
Read more about "Louise van Schaik: 'Tijd van grote klimaatakkoorden is voorbij'"
Read more about "BNY Mellon: Back From Down Under"
Read more about "Monex: Duitse PMI’s niet zo teleurstellend als ze misschien lijken"
Read more about "Mainfirst: De FAANG-aandelen bieden nog steeds interessante investeringsmogelijkheden"
Read more about "Altera breidt convenience portefeuille uit"
Read more about "VCP brengt film uit over pensioenstelsel"
Read more about "Kwartaalbericht Pensioenfonds Zorg en Welzijn: eerste kwartaal 2019"
Read more about "Schroders: Tast vergrijzende bevolking China's economisch succes aan?" Read more about "PMT: verlagen druist in tegen rechtvaardigheidsgevoel"
Read more about "T. Rowe Price: Waarom wij niet belegd zijn in Japanse banken"
Read more about "Invesco: Politisering centrale banken gevaarlijk"
Read more about "Funding Circle: Europese Investeringsbank gaat €100 miljoen via Funding Circle uitlenen"
Read more about "Syntrus Achmea zet samen met Trebbe Klok nieuwe stap in duurzaam vastgoed met Passief Bouwen"
Read more about "Benoeming Mark Schilstra Hoofd BNP Paribas Securities Services Nederland & de Nordics"
Read more about "Aanstelling Matthieu David bij Candriam als Global Head of Financial Institutions and Partnerships"
Read more about "NN IP: De strijd tegen plastics. Hoe beleggers kunnen bijdragen aan veranderingen"
Read more about "BNY Mellon: Volatility and Seasonality (Part 3)"
Read more about "BlackRock Reports First Quarter 2019 Diluted EPS of $6.61"
Read more about "Nordea AM: The US-China trade deal: too good to be true?" Read more about "Columbia Threadneedle: Targeting positive returns in an uncertain climate"
Financial Investigator is the independent and leading knowledge platform on asset management and securities services for the Dutch institutional market. 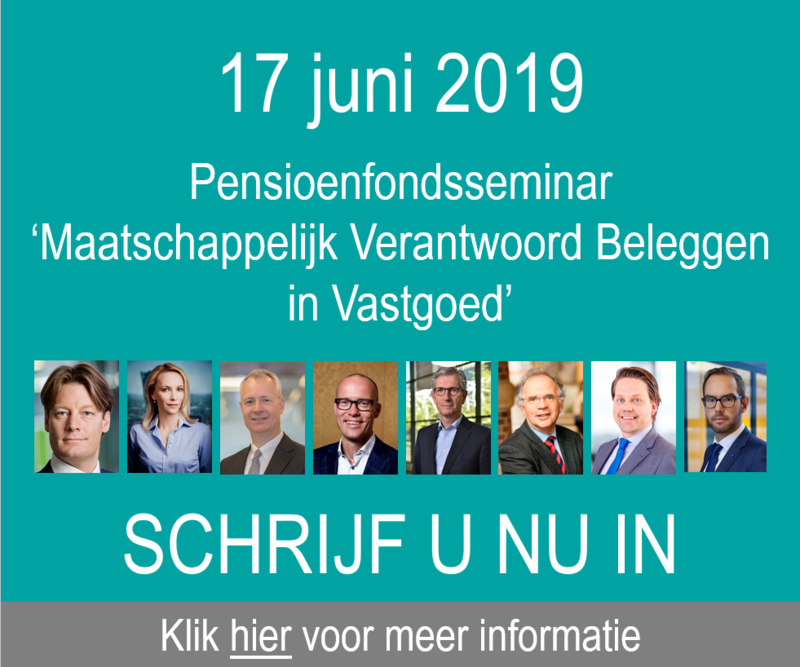 As a professional working for a pension fund, pension fund office, fiduciary manager, insurance company, independent asset manager, family office, investment consultant, supervisor or any other institution involved in the Dutch institutional market, we would like to offer you relevant content. In this news overview you will find all news items, semi-intellectual articles, editorial interviews, on the moves and round table and seminar reports from the past few years that have been posted on the website of Financial investigator. On the right-hand side of the page you can search for relevant news based on a so-called category designation. For example, you can indicate that you want to see all news items or all on the move messages or all round table or seminar reports. By clicking on the round table reports section, you will get an overview of all round table reports from the past years. If you check the section on the move you will see an overview of all moves that professionals have made recently. Equities, ALM, Alternative Fixed Income, Alternative Investments, Alternatives, Asset Allocation, Asset Backed Securities, Asia, Balance Sheet Management, Balance Sheet Management, Corporate Bonds, Behavioural Investing, Benchmark, Blockchain, Brexit, British Pound, China, Climate Chane, Collateral Management, Commodities, Credits, Derivatives, Direct Lending, Dollar, Sustainable Investment, EMD, Energy Transition, Equities, ESG, ETFs, Euro, Europe, Eurozone, External Manager Selection, Factor Investing, Family Office, Fiduciary Management, Fixed Income, Land Rocks, Hedge Funds, Hedge Funds, High Yield, Mortgages, Illiquid Investments, Impact Investing, Impact Investing, Inflation, Inflation Linked Bonds, Infrastructure, Insurance Linked Securities, Long Term Investing, IORP II, Japan, Climate Change, Cost, Credit Crisis, Long Term Investing, Life Cycle Investing, Loans, MIFID II, Monetary Policy, Bonds, Real Estate, Emerging Markets, Pension Funds, Political, Private Debt, Private Equity, Real Assets, Renminbi, Interest, Risk Management, Risk Management, Risk Management, Securities Lending, SME Loans, Solvency II, SRI, Technology, Valuata, Real Estate, United States, Asset Management, Insurers, Prospects, Laws and Regulations, Yen, Yieldcurve and Healthcare Real Estate. If you miss a subject or if you have an interesting article or white paper that we can include in our database, please feel free to mail us at info@financialinvestigator.nl.